Clarissa Shah ’10, a commercial sales attorney at LinkedIn, will deliver the keynote address during SophoMORE Connections, which takes place on campus, January 18–19. SophoMORE connections, hosted by the Career Services, gives second-year students access to professional and personal advice via one-on-one conversations and panel discussions with alumni, faculty, and upperclassmen. Shah’s speech, to be delivered at 5:45 p.m. on January 18, stands out on a program that also includes industry-specific panel presentations and skill-based tutorials covering résumé writing, interviewing, and more. 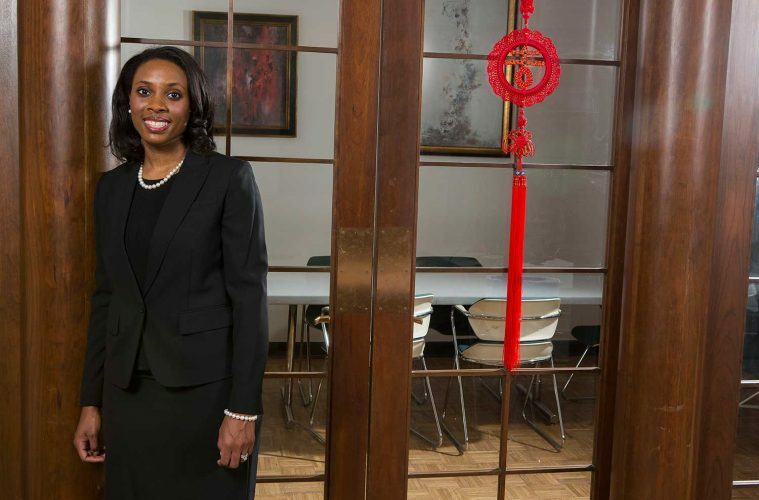 She will speak on her years as a Chinese and political science double major at Colgate and how her Colgate experience has helped her during her career. After graduating from Colgate, Shah went on to earn her law degree and a master’s in Chinese language and literature from Washington University in St. Louis. Her love of linguistics and language study remains an important part of her life: Shah has published articles in China Daily and addressed the National Chinese Language Conference. Prior to joining LinkedIn, she worked at Emerson Electric Company as their supply chain counsel. Read more about Shah here, and watch the 2019 SophoMORE Connections keynote live via Colgate’s Livestream Channel.